Please I need help, I paid a garage in Mogoditshane a deposit to buy a car, and I no longer need the car. The garage has paid back 2 instalments of 5k and still owing 24k. To this day they're all quiet, I took them to the consumer office in ministry of trade and they called them they never showed up, and the office said there is nothing they can do maybe I can try lawyers. I have legal insurance so I engaged them and they rejected me because the debt is more than six months even though proof of payments show that my last instalment was in September. They wrote demand letter which to this day the garage has not honoured. As a consumer I feel so helpless and ask for advice and guidance and if possible help me recover my 24k. I find it surprising how shameless some suppliers can be and this is a particularly extreme case. This garage ignored you, they ignored the Consumer Protection Unit and they ignored your attorneys. I think the time has come to escalate this situation to a much higher level. In normal circumstances I would mention that Section 15 (1) (e) of the Consumer Protection Regulations says that when an agreement, such as yours, “is rescinded, cancelled, or otherwise terminated” a supplier must return any deposit or payment “promptly”. It doesn’t say “eventually”, “at their convenience” or “whenever they feel like it”, it says “promptly”. I’ll get in touch with the garage and see if they’d like to become a lot more popular by being named and exposed as the sort of company that ignore its customers, the Consumer Protection Unit, attorney and the requirements of the law. Is the Green World scanner legit? There is something called Green World group, I understand you buy a scanner and test people. The scanner will show you what the body lacks then you sell them those supplements that the machine would have shown they lack. 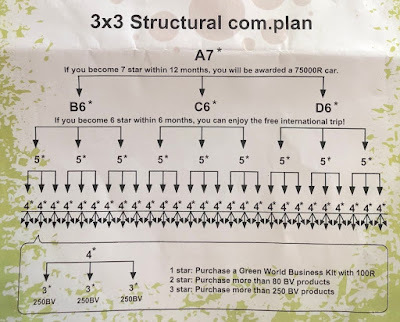 My worry is it operates more like a pyramid scheme and another question is it really legal to recommend or issue supplements when you don't have any medical background? No, it certainly is NOT legal to diagnose medical conditions unless you are a qualified and registered health professional. We’ve covered Green World several times over the last few years. They market and distribute a range of so-called “alternative”, herbal health products about which they make some extraordinary claims. The last time I was in contact with them one of their local distributors told me that they “treat all known disorders. Just to name a few: Diabetes type 1,2, BP, Cancer, Obesity, Period pains, Fiberiods, Libido, Low sperm count, Infertility, Prostate disorders etc”. Those are illegal medical claims. They’re also extremely dangerous. 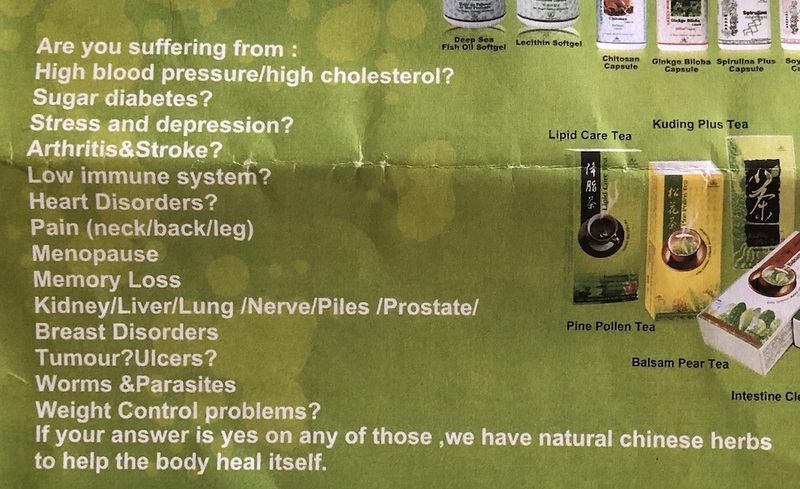 While it’s clear that their products can’t do all of these things, the danger is that people who are suffering from these disorders will take a Green World substance instead of seeking professional medical help. That will leave Green World and their distributors with blood on their hands. Then there is this ridiculous scanner they market. 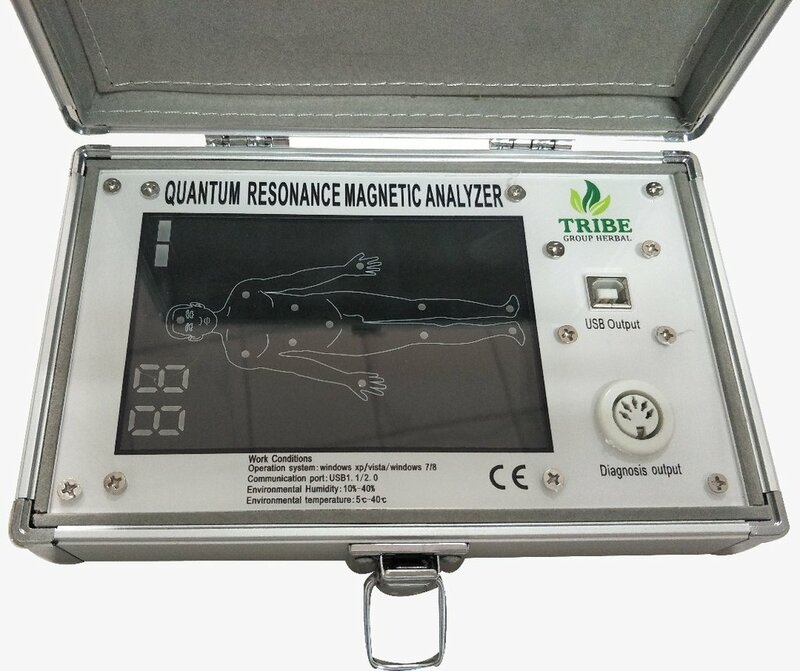 They have the nerve to refer to it as a “medical scanner” and as the “Quantum Resonance Magnetic Analyser Machine”. I found one Green World web site that claimed that this machine can diagnose disorders such as “Anaemia, High blood pressure, Low blood pressure, Nutritional deficiency, Prostate disorder (not cancer), stroke, Low sperm count, hormonal imbalances, erectile dysfunction, ovarian cysts, cardiovascular problems, cerebrovascular problems, bone problems”. These are illegal claims and I’ve already forwarded them to BOMRA, our new Medicines Regulatory Authority for their investigation. 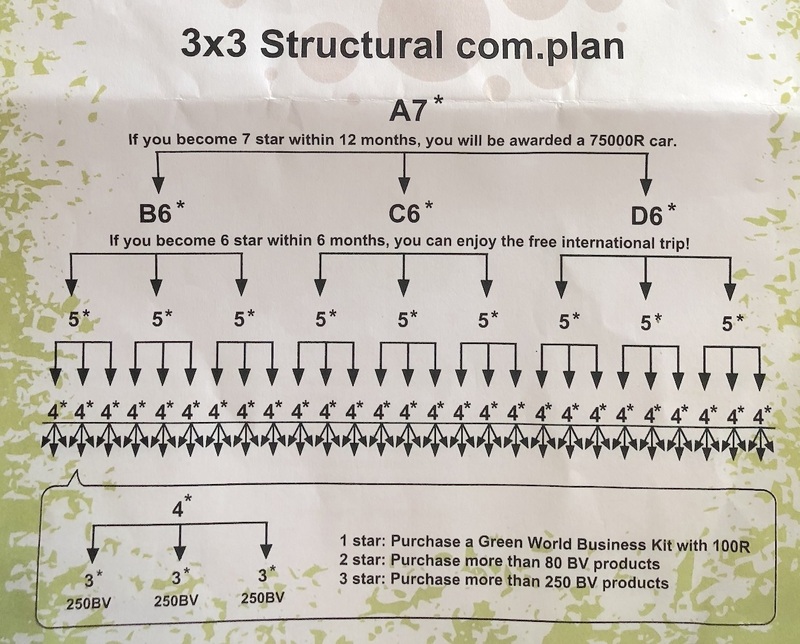 And finally, yes, they look remarkably like a pyramid scheme, encouraging new recruits to build multiple levels of people beneath them, and promising a range of amazing benefits that, like with all pyramid schemes and even Multi-Level Marketing companies, are empty promises. In fact, everything about Green World is bogus and the sooner they’re stopped from marketing these illegal and dangerous products the better.